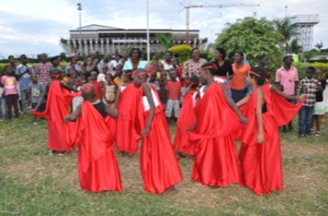 YEGO Rwanda created a dancing and singing program for a group of 15 traumatized children (10 girls and 5 boys). The group provides opportunities for social integration and cathartic healing. It is going well and the kids enjoy it very much.